Home Articles 10 Impact Wrestlers & Stables Who’re Making Names For Themselves. Hi everyone! 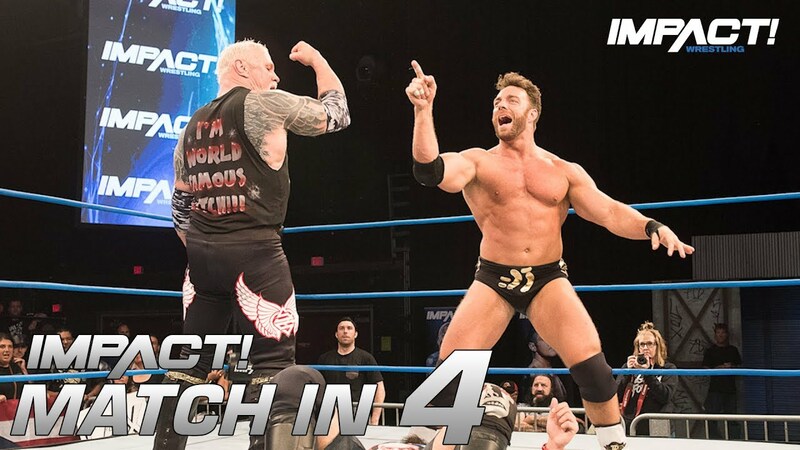 Today, I’ll be looking at Impact Wrestling and two hands worth of its talent. There’s been many changes the past year, and they’ve all been for the better. In fact these days, I find myself more interested in Impact than some Raw or Smackdown episodes; which is a good sign. I remember when I got into TNA Impact in the late 2000’s, and it’s beginning to feel a bit like that .. only with a different name, owner, blue ropes, and different faces. There’s no BS as it’s been replaced with competition, competition, and more competition. They’re also not afraid to reach out to other promotions to give a platform for wrestlers who otherwise may not have that much exposure. If you don’t like Impact Wrestling then why are you here? 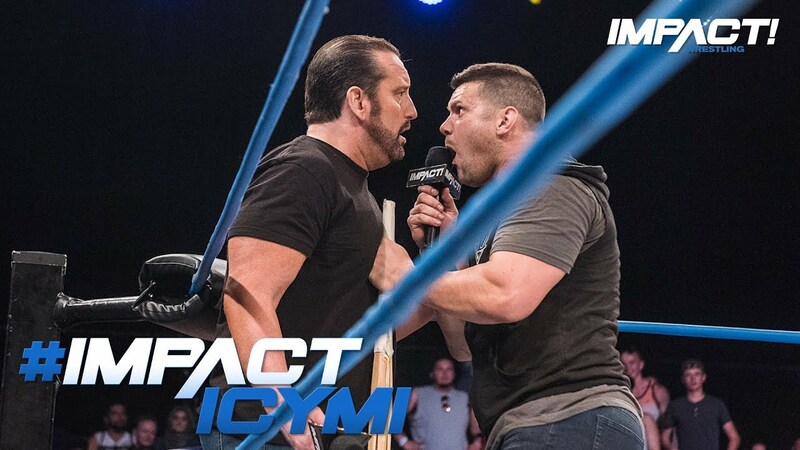 I strongly believe Impact has turned a corner and is not deserving of ridicule like when it was run by Dixie Carter. The promotion has moved on and is looking forward, so surely you can too? We don’t care if Hogan and Bischoff ruined it all those years ago .. it’s ancient history, and what happened then has no effect on the product we see in 2018. Wrestlers come & go. They couldn’t hold on to the TNA Originals forever. Let’s look forwards, not backwards. The following wrestlers are in alphabetical order. I remember how many fans were begging Impact to sign him to a deal a few years ago. He was red hot on the indies, and while Impact had booked him a couple of times, management must’ve felt he wasn’t ready. But at the start of 2018, we began to see vignettes hyping the “debut” of The Machine Brian Cage. And since then he’s done a lot, including defeating Bobby Lashley before he went back to WWE. He’s a big guy, but he’s not your typical big guy. He can move as quick as an X-Division wrestler, and he doesn’t tire. In fact he’s so dominant, he sometimes purposely holds back to “get a workout” against his opponents before he finishes them with the Drill Claw. His character is still a bit of a mystery as he’s a man of few words. Against Lashley, he didn’t give much away, and it seems Cage likes to do his talking in the ring. He doesn’t play to the crowd, he just goes about his business and gets victory after victory. He’s one of Impacts biggest names now and he’s only been there six months. His physique and athleticism is hard to match, so it seems a foregone conclusion that he will eventually become Impact World Champion. But management are not pushing him too hard too soon, they don’t want the fans to resent him for being forced on them. It’s going to happen organically, and I think whether he turns full-blown face or heel, will depend on how the fans react to him in the next few months. Bit of a personal favourite of mine. He doesn’t speak much English, but what is clear is he’s a good worker with a unique image. Did you know he’s from outer space? His character is that far out. He’s been feuding with Aerostar in Lucha Underground, but on Impact he regularly tags with him. I’d like to see Drago get a singles push at some point. 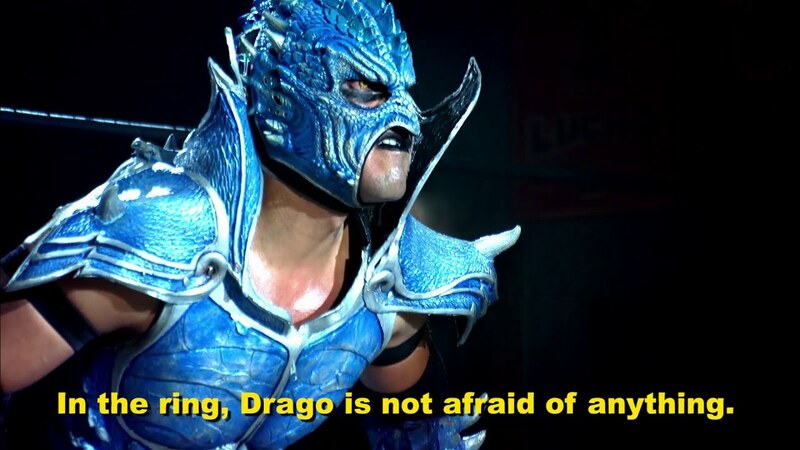 Not that I don’t like Aerostar, I just think Drago has a better look. His work is slower, but it’s less prone to botches. His masks will sell well if Impact can use him more. Honestly, I’m shocked by the transformation. Here’s a guy who only a couple of years ago was a great technical wrestler .. but boy was he dull? Such a boring babyface. He could work a nice match with the right opponent, but you couldn’t stick him in a program because his promos were like watching paint dry. But one man reached in to his head and found the inner, darkest depths of his soul. More on him later. What’s important about the change in Eddie’s personality is the revelation of him losing his mind. He was provoked, provoked, and provoked again. Eventually .. he snapped, so much so that he couldn’t get his rival out of his head. And it ended up going too far, to the point Eddie wanted to literally “kill” him. When was the last time you heard a wrestler want to kill their opponent. Outside of Gargano and Ciampa’s feud, I feel like Eddie’s feud has been pretty good too. It’s probably not on the same level, but it’s still been better than any feuds on WWE’s main roster. And where can he go from here? Will Eddie get his mind back? Can Eddie find peace in himself? That’s what I’m looking forward to finding out. Who needs Davey Richards to get over huh? The man also known as King Cuerno has proven he’s one of the best wrestlers in the game today. He looks like a typical luchador, but he’s capable of a lot more. He prefers power moves, he works like a heavyweight, yet has the intelligence and athleticism to fly in the right moments. Not only that, but he speaks fluent English. I’m surprised WWE hasn’t snatched him up, as he’d be an asset to any of their rosters. Watching him is a treat, and I’m sure we’ll see Fantasma picking up Impact titles in the near future. It’s been tough for him since Austin Aries returned to Impact. He’s had to take a backseat, but instead of getting frustrated, he’s stayed professional and amped up his character. I’ve said before how he needs to find more in his arsenal, and I think being forced off the top spot will spur him to do so. Moose is ready to challenge for the title, so Eli will have to find something else to do. Nevertheless, his run as Impact World Champion, as well as his short run as tag team champion with Scott Steiner, makes 2018 a pivotal year for his career. The best is yet to come .. dummy. Yeah! They’re piggybacking off the old LAX gimmick, but Ortiz, Santana & Diamante are young kids who are hungry for success. They’ve already won the tag titles three times since last year, and more are bound to come. For unknown reasons, managers Konnan & Homicide disappeared, leaving the guys on their own. They struggled for a while, til “King” Eddie Kingston showed up and shoehorned his way in to being their leader. Diamante remains untrusting, and something seems fishy, but results have gotten better since he took the lead. I like seeing the evolution of these characters, and it also makes me wonder what will happen when Konnan, Homicide, or even Hernandez shows up to challenge Kings position. I’m also looking forward to seeing if Diamante will return to the Knockouts Division after being out of action for what feels like a terribly long time.